This list of inspection preparations is for the benefit of both the seller and buyer, as home inspectors in most cases we will never have contact with the seller of the subject property. When we arrive the owner is normally not home or if home does not have the time to prepare once we are there. So we cannot advise them on what they should have done to prepare for the inspection.You should ask your agent to tell the sellers agent what their client the seller can do to prepare for the home inspection. Doing this will not only allow us to do a better inspection but will reduce the chance of a re-inspection do to inaccessibility of important areas or components. For a home inspection to run as smooth as possible there are things that the seller can do to prepare before the home inspector arrives. Owner (seller) should make sure all light bulbs that are not working are replaced with new bulbs this will allow us to see better when doing the inspection, in-addition to making sure the light fixtures and switches are functioning. Owner (seller) should make sure we have access to the heating system, water heater and electrical panels these systems are vital to the home and we need access to them. Owner (seller) should make sure that the access panel to the attic is accessible, if located in a closet the closet should be emptied and cloths pole and shelve removed. Owner (seller) needs to be sure to leave any detached sheds or garages unlocked or leave the key if they’re being inspected. In my experience sellers will happily follow the inspection preparation recommendations for a home inspection if they are advised to so by their realtor. As a buyer you have the ability to remind the seller to prepare for the home inspection through your real estate agent. 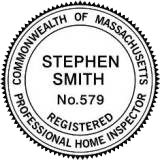 We have added the inspection preparation page to our website in hopes that sellers will be prepare ; you can print this page out and ask your realtor to make sure the sellers agent gives a copy to the seller before the home inspection.